Indulge yourself in an amazingly relaxing experience in our Thea spa and Beauty salon. The stimulation of all senses is what makes the experience one to remember. Situated high above the hustle and bustle of the village, the views from the roof terrace over the White Mountains and Mediterranean Sea immediately starts the process of relaxation. We reccommend prebooking your treatments, by email at info@almyridaresort.com or by calling us at +30 28250 32075. 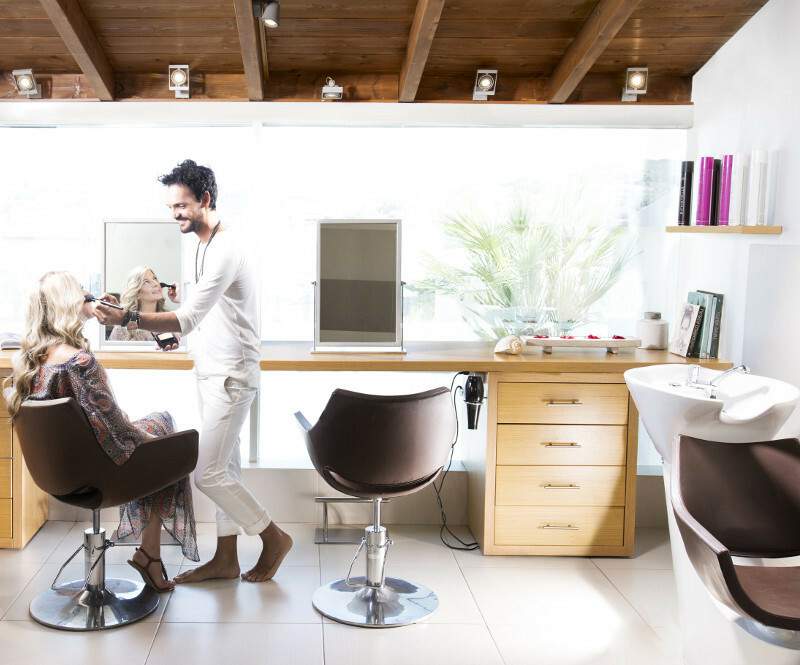 Care for a hair make over during your stay or before your trip back home? Let our stylist amaze you with the result. Our experienced beautician will take the time to talk with you about your treatments of choice. A massage is an essential part of a relaxing holiday. Choose one of the treatments and talk with our masseur for your desired massage and the level of pressure you prefer.